Have you completed your engineering degree or will be appearing for your final year exam? Have you decided what to do next? Do you wish to study further, take up a job or a do MBA? Well these are some of the question that you must be facing now or will be facing soon. This article will take you through all the important issues you need to think before making your decision of whether and when to obtain your MBA. Do you have the traits of leadership? Do you have the ability to do multitasking independently? Do you have convincing powers? If the answer to these questions is an emphatic ‘YES’, then MBA is definitely the career for you. You can start by considering the vital question – ‘Should you opt to study or work?’ Again if you are interested in studies and are financially well off with no responsibilities then sure you can complete your studies. If the answer is YES, then the next obvious thing is to decide whether to stick to your engineering stream, do MBA or look for other career options. If you choose to stick to your technical field then you can do you post graduation (MTech/Msc. Engineering or Master of Science), develop your skills and then start working. Again as discussed above if you are financially sound then you can also choose to go abroad for your master’s degree. Obviously, after doing your masters from abroad your chances in the job market will be brighter both career wise and financially. But if your answer is ‘No’ then there many other options available to look out for and one of the most obvious choice is doing MBA. It's a Master of Business Administration degree, granted after one to two years of graduate-level university study that provides education in the theory and practice of business management. The MBA degree is basically a document that certifies that you have a general competency in all the major functional management roles you'll find in the modern organization. An MBA is a career accelerator across a number of industries and MBA graduates usually start with higher salaries. What does an MBA provide? Is it just a degree that will help you get a promotion, a chance to fly high in your career, or help you add some extra bucks in your pocket? An MBA degree is much more than that. Besides, giving you a degree that will help you add an extra column to your CV, an MBA helps you build on your skills, develop your brand and network. An MBA degree goes beyond classroom learning. Soft skills like teamwork, ethics, communication and leadership that an MBA teaches you helps you not only in your career but also leads to a holistic development. An MBA degree also helps you build a strong network with the elite alumni, faculty and community and industry people. An MBA will surely help you analyze the balance sheet, solve complicated problems, and help you research and explore new opportunities for your company but at the backdrop an MBA provides something deeper, something life-altering. 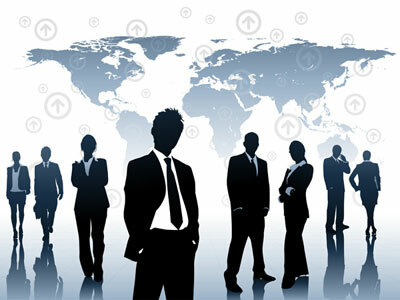 An MBA is not just Management in Business Administration but as much a business event as well. One of the most important questions is whether to join MBA immediately after engineering or to work and then join. Well, some of the major institutes do prefer people with some work experience and many of the courses during the MBA program revolve around concepts and principles that one would get exposed to only at work. In such cases work experience becomes the distinguishing factor. The ability of the person with some work experience to interact, discuss and handle a particular situation will always have a more practical approach than a fresher. It is significant that engineers widen their knowledge and skills in the management area if they wish to become senior managers in an organization. Having already obtained a technical degree, an MBA expands the horizon of their education in the wider areas of management. The role of the engineer is changing rapidly within an industrial organization. The engineer is likely to be the manager that has to implement new practices and new technology. MBA gives you the confidence to pursue your dreams and gives you a force to innovate and experiment. A management degree polishes your managerial skills making you to work towards the goal of the application with greater productivity and lesser cost. The course makes you acquainted with all the aspects of running a company. It grooms the person to serve the best to oneself – only then can he be an asset to an organization. MBA course prepares you to face the realities of life while you are still in the process of shaping your dreams. The management course gives you a chance to figure out your strengths, weaknesses, passions and harness them. MBA courses had always been full time courses, but in the last few years there has been an introduction of many types of MBA programs based on their structure. So now there are part time MBA courses, modular programs, international programs, distance learning programs, and even online MBA programs. Many schools offer MBA programs along with other academic majors, and some focus only on business degrees. The above mentioned are few of the major streams but there are many other streams (For more you can visit our section on streams of management). Now after going through the article you still might feel that the above mentioned careers are not for you then don’t be disappointed you still have choices to choose from such as administrative services (IAS/IES), GMAT etc. IAS/IES: Even though corporate jobs may offer the best of salaries and perks, a majority of engineers and their parents still crave for entry to the prestigious Indian Civil Services held by the UPSC. The very fact that a big share of every year's top posts in the civil services exams are bagged by engineering professionals from various streams, shows that IAS still remains the dream. Consultancy Service: You can complete higher studies, and if you are a civil engineer, computer engineer or architect, you can become a consultant and have your own consultancy firm. If you thought it is only MBA which can fetch you big bucks, then think again! Journalist/Technical writer: Have you ever thought that you can become a technical writer and earn a lot by simply having an engineering degree. You can become a technical writer and create technical manuals for corporate giants and see how you rise up the ladder in a couple of years. Your technical background will help you get an edge over your non-technical colleagues. You can also write for IT section of any leading newspaper. There are many takers for IT news today and the trend is going to increase in the coming years. There are dedicated technical magazines where you can contribute as well. So go ahead and become a writer and get instant respect and recognition in the industry. Military service: Engineers are in great demand in our armed forces be it the Army, Navy or Air force. Be a proud Indian and enjoy the life of an Indian military. Whatever you choose, don't jump onto an MBA program without doing all the necessary introspection and research. The new way to find somebody nowadays is through reverse phone search. Differences between Java and C++.